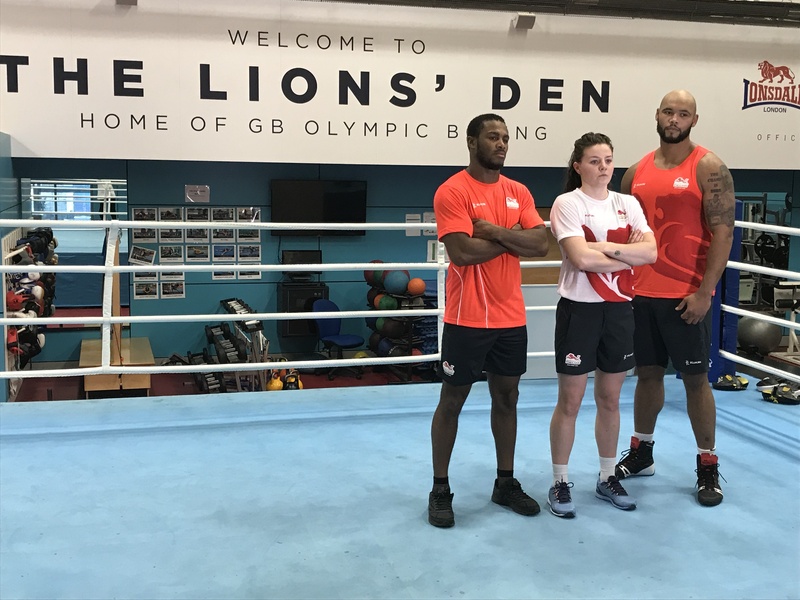 Eight men and four women from the GB Boxing squad have been selected to represent Team England at the forthcoming 2018 Gold Coast Commonwealth Games, Australia 4-15 April 2018. 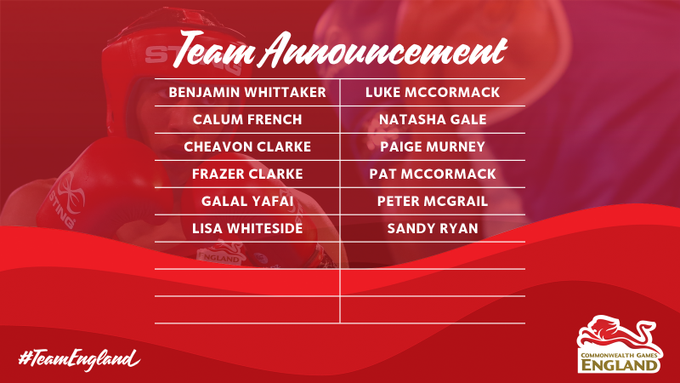 The team includes two-time European silver medallist, Pat McCormack (welterweight) who competed for England at the Commonwealth Games in 2014 and for Team GB at Rio 2016. He is one of three boxers from Birtley ABC, along with twin brother, Luke McCormack (light welterweight), and lightweight, Calum French. They will be joined by Rio Olympian, Galal Yafai (light-flyweight), European Champion, Peter McGrail (bantamweight), European silver medallists, Cheavon Clarke (heavyweight) and Frazer Clarke (super-heavyweight) and middleweight, Ben Whittaker. The women’s selection includes European Champion, Natasha Gale (middleweight), 2014 world championships silver medallists, Lisa Whitesdie (flyweight) and Sandy Ryan (welterweight) and newcomer, Paige Murney (lightweight). At the 2018 Commonwealth Games, teams are allowed to select a maximum of 12 boxers from across the ten men’s and five women’s weight classes, which means England was not able to name a boxer in all 15 categories. Pat McCormack said: “It’s great to be selected for the Commonwealth Games. I competed at the one in Glasgow but I was young and inexperienced then and did not win a medal. Since then I have been to the world championships twice, won two silver medals the Europeans and been to an Olympic Games so I will have a lot more confidence and experience going into the competition this time. “I have always wanted to go travelling to Australia, so to be able to go there through boxing is even better. I know it will be a tough tournament but I have trained hard and I am going there to win gold. For 2014 World Championship silver medallist and 2016 European bronze medallist, Lisa Whiteside, this will be a first appearance at a a multi-sport event. She said: ““It is absolutely fantastic to be selected for the Commonwealth Games, it will be my first multisport event and to represent England on the Gold Coast feels unreal. “Boxing’s major tournaments don’t always get covered on TV, so to be competing and knowing that my friends and family back home will be able to watch is going to be out of this world. The team will participate in a 10-day preparation camp ahead of the Commonwealth Games in Brisbane. Results and updates on the progress of the team at the Commonwealth Games will be posted at www.gbboxing.org.uk and on the GB Boxing twitter feed @gbboxing once the tournament begins. The semi-finals and finals of the tournament will be shown live on the BBC’s red button service on Friday 13th April and Saturday 14th April 2018.